Gleaming classic cars and scooters made for an eye-catching display at a vintage fair organised by Kirkley Manor care home in Lowestoft. The distinctive contours of the vehicles, standing in marked contrast to today’s wind tunnel sculpted models, were a fascination to the legion of children visiting with their families. 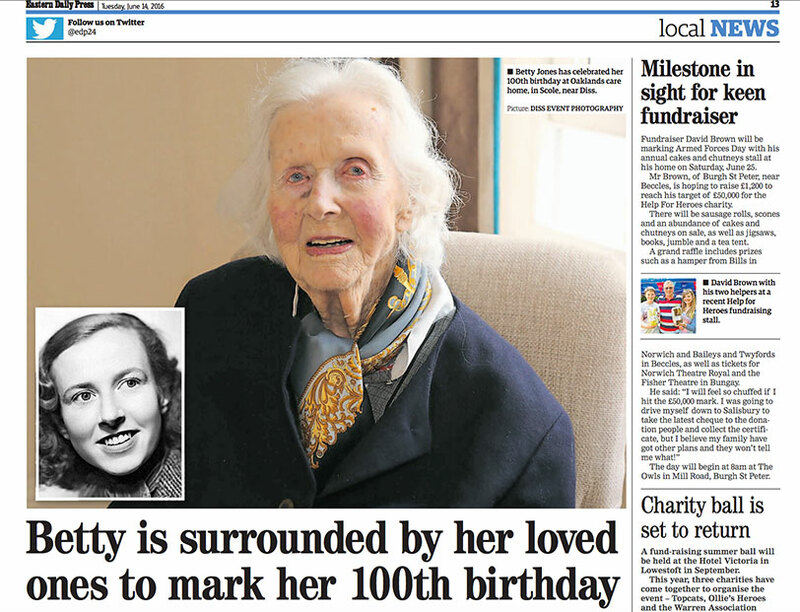 A woman who helped to console the relatives of Norfolk-based fighter pilots who died in the Second World War has celebrated her 100th birthday. Betty Jones was joined by more than 50 family members and friends to mark the occasion at the Oaklands care home, in Scole, where she lives. Born in Martham, near Great Yarmouth, she was the youngest of six and had a stepsister and four brothers. In 1938, she married a doctor, Eric Jones, and they settled into a busy family practice in Norton, Suffolk. care home’s quest to wow Lowestoft in Bloom judges has been boosted by the horticultural skills of a group of learning disability students. 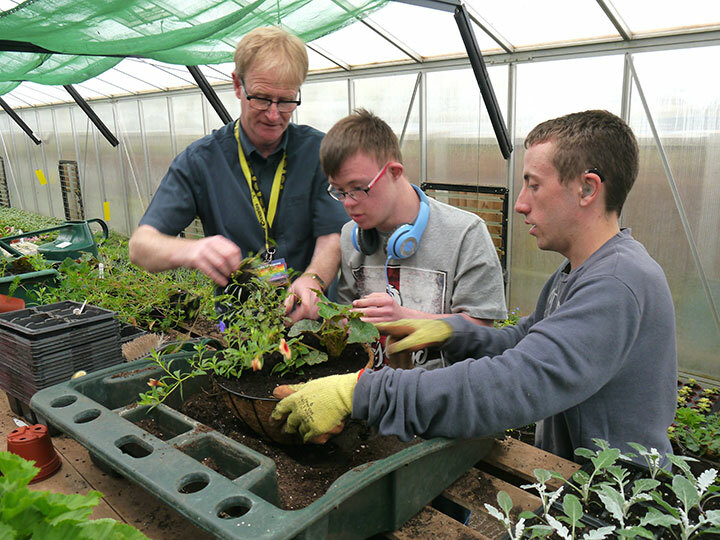 Young people from the Horticultural Enterprise at City College Norwich have supplied a variety of flowers to Lilac Lodge in Gorleston Road, Oulton Broad. The Mayor of Christchurch, Trish Jamieson, came to watch the afternoon of fun at the Stuart Road home in her first week in office. 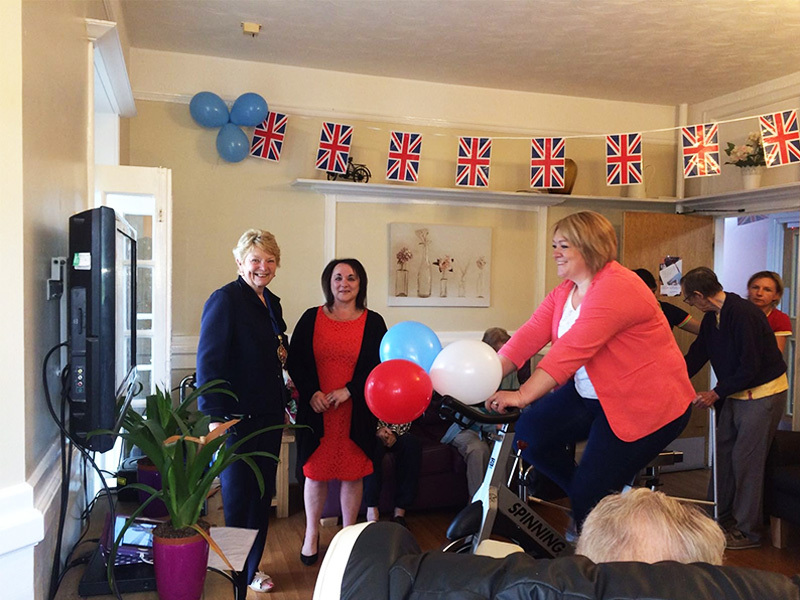 Staff and residents’ relatives took it in turns on spinning bikes and kept going for six hours from noon to 6pm. 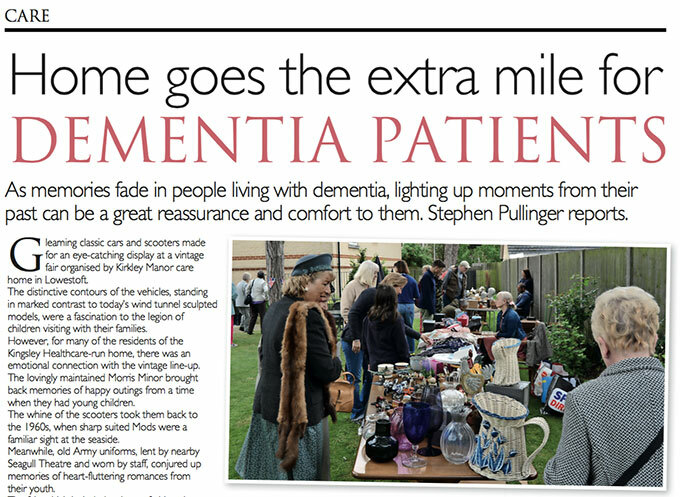 They used to be known as God’s Waiting Rooms but everyday life in care homes today is far from dull. Stephen Pullinger reports. Janet Tanfield is in many respects the central figure at Downham Grange care home. She is not the manager but the activities co-ordinator. She firmly believes that life in a care home can bring exciting new learning experiences and says that is as true for herself as it is for the residents.